Safety and lifespan of any RCC structure are solely dependent on the properties of the good quality steel TMT bars and cement. Proper storing and handling of TMT bars are important factors. Improper handling of these reinforcement bars may result in damages. On a broader prospect, if a damaged steel rebar is reinforced in to the concrete, it may affect the performance of the structure. TMT bars at the construction site have to go through a number of procedures, starting from unloading, hoisting; stacking; cutting; bending; fabrication; welding etc. 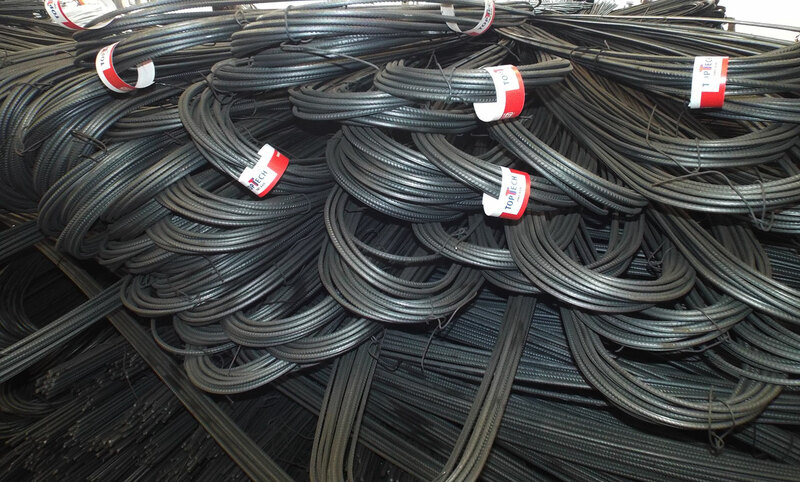 In many cases, improper storing and handling of the steel rebar end up damaging the steel rebar. A better understanding of storing and handling of the TMT bars are important to fortify the tensile strength of the concrete structures. Generally, steel is reactive to moisture and dust. Thus the construction site must have the provision to cover it under the shed or with some polythene sheets. Stacking of the TMT bars is the most important aspect. The stacking height should be altered for different diameters. Maintaining the proper height of stacking also important to secure it against any collapse or sliding. TMT bars shall also have different categorization as per the length, starting from 5.6mm to 32mm. 1-2 meter of space must be maintained in between two bundles of TMT bars, for equal distribution of load. Excessive transverse and longitudinal load may damage the rib structure and significantly reduce the concrete bonding strength. Raised wooden platform available at the site is requisite to evade direct contact with mud-covered ground. 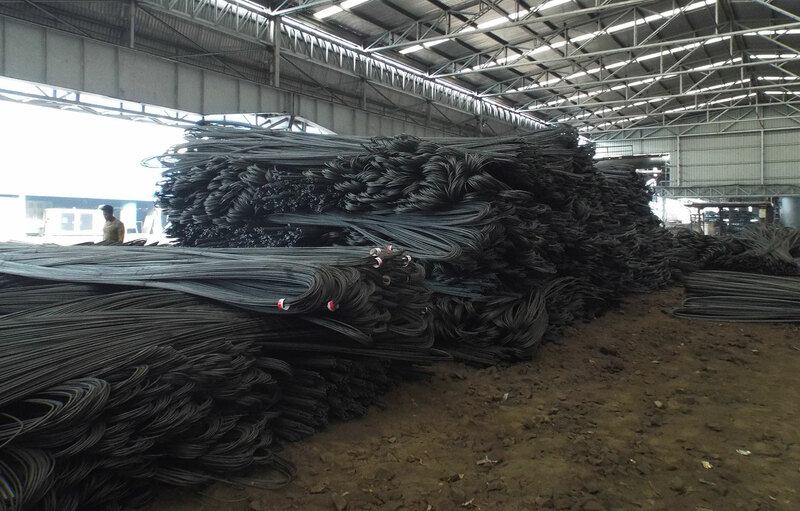 One must keep in mind that wrongly stacked rebar may negatively affect the rib structure and will reflect on the surface characteristics of the steel rebar, which in turn impacts the overall tensile strength of the steel rebar. Organized housekeeping procedure is important for making the identification and handling easier. Categorical placement of display boards makes it easier to identify the required stack of TMT bars. Identification tags also helps in categorizing each bundle of TMT bars, thoroughly by grade and size.